You are able to order direct from our website, or we would be happy to reach out to your ball driller on your behalf. Please let us know how we can help. Will May’s Bowling and Billiards in Sinking Spring Pa be getting the Lock Nest Monster? That is who drills my bowling balls. We have not heard from this shop yet about an interest in carrying the ball. We would be happy to reach out to them on your behalf if you can share with us a contact and phone number to reach them. Thanks for your interest! Where are you balls poured? Joe, Global Manufacturing is producing for us. 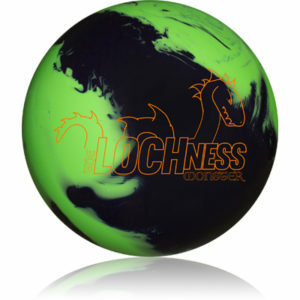 You are able to see details of our 1-year warranty on our website at https://monster-bowling.com/product/the-loch-ness-monster-bowling-ball/. Please let us know if you have any other questions and we hope you will consider trying a Loch Ness Monster! Who is manufacturing this ball? Hi Rob, Global Manufacturing is producing for us. Please let us know if you have any other questions and we hope you will consider trying a Loch Ness Monster!